Contact Dave Benjamin at 708-903-0166, dave.benjamin@glsrp.org to schedule your public, private, school, lifeguard, or first responder water safety presentations or in-service training. Call ASAP! The calendar is filling up fast! (Scroll down to see the calendar). 01/26/2019 – Chicago, IL – (1) – Illinois Parks and Recreation Association Annual Conference, “Soaring to New Heights” at the Hyatt Regency Chicago. 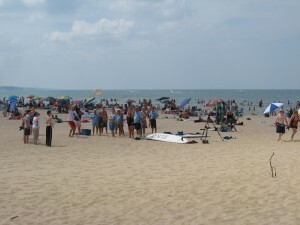 In response to the Great Lakes drowning epidemic, in June 2011 the Great Lakes Surf Rescue Project (GLSRP) began teaching “Great Lakes Water Safety” presentations to educate the public about the hazards of the surf environment. Since then it has taught over 750 presentations in 7 of the 8 Great Lakes states. The presentations are for everybody: the average beach goers, surfers, lifeguards, police officers, fire fighters, paramedics, water rescue team members, dive team members, and the U.S. Coast Guard. Contact us now to schedule your public, private, school, lifeguard, or first responder water safety presentations and training. Dave Benjamin at 708-903-0166. We would love for you to join us at an upcoming class! Please complete the form below to RSVP. May 14 – Michigan City, IN – (6) Barker Middle School 9:00 a.m. to 1:30 p.m.
May 15 – Michigan City, IN – (3) Barker Middle School 9:00 a.m. to 10:30 a.m.
May 15 – Michigan City, IN – (3) Krueger Middle School 12:00 a.m. to 1:30 a.m.
July 21 – Chicago, IL – (1) 10:00 a.m. Chicago Alliance for Water Safety (CAWS), Loyola Beach Field House. August 30 – Lansing, MI – (1) Michigan Trauma Association – Trauma Informed Caregiving Conference – Lansing, MI August 29 – 30, 2018. September 19 – Ogden Dunes, IN – (1) Indiana Volunteer Fire Assoc., Ogden Dunes, IN Volunteer Fire Departments from Lake Na Porter County. Oct 24 – Cleveland, OH – “Common Sense? ‘I didn’t know…’ PSA and Short Feature” Great Lakes Beach and Water Safety Conference, 6200 Quarry, Independence, Ohio. March 13 – Western Springs, IL (1) 4:00 p.m. – 5:00 p.m., Forest Hills Elementary, 5020 Central Ave., Western Springs, IL 60558 – PLEASE RSVP NOW! March 27 – Michigan City, IN – (2) – Springfield Elementary, 3054 W 800 N, Michigan City, IN 46360, (219) 873-2117; Grades K-3, 9:00 a.m. to 10:00 a.m. & Grades 4-6, 10:15 a.m. to 11:15 a.m.
March 27 – Michigan City, IN – (2) – Marsh Elementary, 400 E Homer St, Michigan City, IN 46360, (219) 873-2102; Grades K-3 12:30 p.m. to 1:30 p.m. & Grades 4-6 1:45 p.m. to 2:45 p.m.
March 28 – Michigan City, IN – (2) – Coolspring Elementary, 9121 W 300 N, Michigan City, IN 46360, (219) 873-2073; Grades K-3 12:30 p.m. to 1:30 p.m. & Grades 4-6 1:45 p.m. to 2:45 p.m.
March 29 – Michigan City, IN – (2) – Joy Elementary, 1600 E Coolspring Ave, Michigan City, IN 46360, (219) 873-2090; Grades K-3 9:00 a.m. to 10:00 a.m. & Grades 4-6 10:15 a.m. to 11:45 a.m.
March 29 – Michigan City, IN – (2) – Lake Hills Elementary, 201 Ferguson Rd, Michigan City, IN 46360, (219) 873-2105; Grades K-3 12:30 p.m. to 1:30 p.m. & Grandes 4-6 1:45 p.m. to 2:45 p.m.
March 30 – Michigan City, IN – (2) – Edgewood Elementary, 502 Boyd Cir, Michigan City, IN 46360, (219) 873-2079; Grades K-3 9:00 a.m. to 10:00 a.m. & Grades 4-6 10:15 a.m. to 11:15 a.m.
March 30 – Michigan City, IN – (2) – Knapp Elementary, 321 Bolka Ave, Michigan City, IN 46360, (219) 873-2096; Grades K-3 12:30 p.m. to 1:30 p.m. & Grades 4-6 1:45 p.m. to 2:45 p.m.
March 31 – Michigan City, IN – (2) – Pine Elementary, 1660 County Line Rd, Michigan City, IN 46360, (219) 873-2114; Grades K-3 9:00 a.m. to 10:00 a.m. & Grades 4-6 10:15 a.m. to 11:15 a.m.
May 8 – Valparaiso, IN (1) – 6:30 p.m , Four Valparaiso Swim Clubs at Flint Lake Elementary School, 4106 Calumet Ave, Valparaiso, IN 46383. 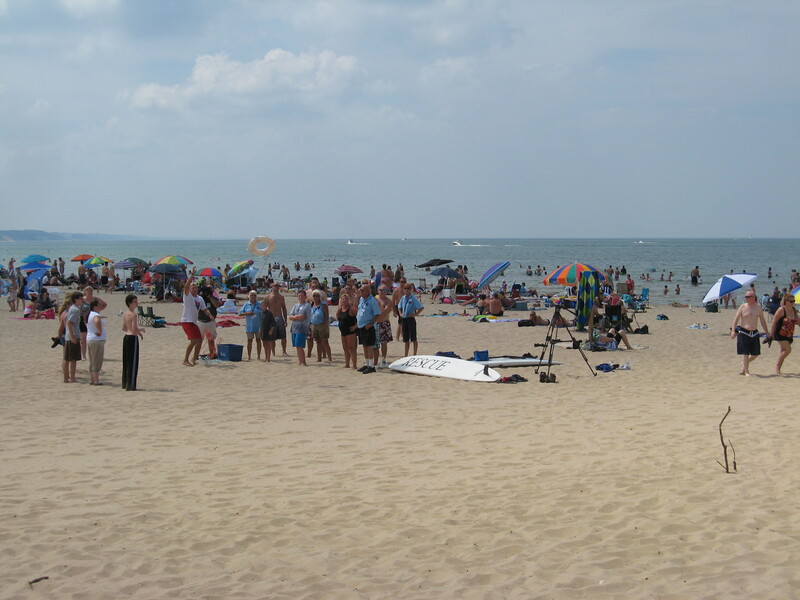 June 5 – Whiting, IN – (1) Open Water Surf Lifeguard In-Service Training, 8:00 a.m. to 4:30 p.m.
June 6 – Michigan City, IN (1) – Open Water Surf Lifeguard In-service Training, 8:00 a.m. to 4:30 p.m.
June 6 – Michigan City, IN (1) – First Responder In-service Training, 6:00 p.m. to 8:30 p.m.
July 12 – Wilmette, IL – (2) Open Water Surf Lifeguard In-service Training for Junior Lifeguards, 9:00 a.m. to 12:30 p.m. and 12:30 p.m. to 3:30 p.m.
August 2 – Wilmette, IL – (2) Open Water Surf Lifeguard In-service Training for Junior Lifeguards, 9:00 a.m. to 12:30 p.m. and 12:30 p.m. to 3:30 p.m.
June 6 – Whiting, IN – Open Water Surf Lifeguard In-service Training, 8:00 a.m. to 4:30 p.m.
June 6 – Whiting, IN – Great Lakes Water Safety and Rescue Training for First Responders, 6:00 p.m. to 8:30 p.m.
June 8 – Michigan City, IN – Open Water Surf Lifeguard In-service Training, 8:00 a.m. to 4:30 p.m.
June 8 – Michigan City, IN – Great Lakes Water Safety and Rescue Training for First Responders, 6:00 p.m. to 8:30 p.m.
June 9 – New Buffalo, MI – Open Water Surf Lifeguard In-service Training, 8:00 a.m. to 4:30 p.m.
June 29 – Sawyer, MI – Bethany Beach Lifeguard Training, 8:00 a.m. to 4:30 p.m.
April 13 – Oak Lawn, IL (x8) – Harold L. Richards High School, 8:00 a.m. to 3:15 p.m.
April 13 – Tinley Park, IL – VFW Hall Boys & Girls Scouts, 6:00 p.m. to 8:00 p.m.
April 14 – Blue Island, IL (x8) – D. D. Eisenhower High School, 8:00 a.m. to 3:15 p.m.
April 15 – Palos Heights, IL (x8) – Alan B. Shepard High School, 8:00 a.m. to 3:15 p.m.
May 15 – St. Johns, MI – (x2) East Olive Elementary, 11:15 a.m.; Eureka Elementary School, 1:45 p.m.
May 16– Porter, IN – at the Indiana Dunes Visitor Center’s auditorium, 1215 North State Road 49, Porter, IN. 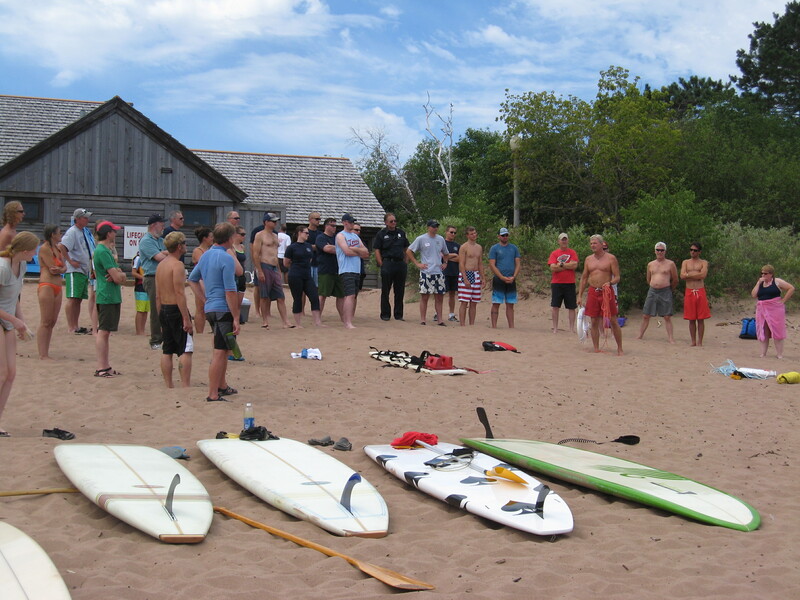 “Swimming Safely – Understanding the Great Lakes Surf Environment”. The presentation is recommended for everyone who swims in Lake Michigan. June 8 – Whiting, IN – Open Water Surf Lifeguard In-service Training, 8:00 a.m. to 4:30 p.m.
July 22, 11:00 a.m. – Orland Park, IL – Orland Park Recreation Department. Presentation for the Adventures and Voyagers Day Camps. July 23, 11:00 a.m. – Orland Park, IL – Orland Park Recreation Department. Presentation for the Adventures and Voyagers Day Camps.